Just when we thought this winter will never end, the sun finally begins to smile down on the city with clear skies, cool breezes and warm weather that’s long been overdue. Now that spring is actually here, it means we can finally start hanging up our jackets to plan for the great outdoors. 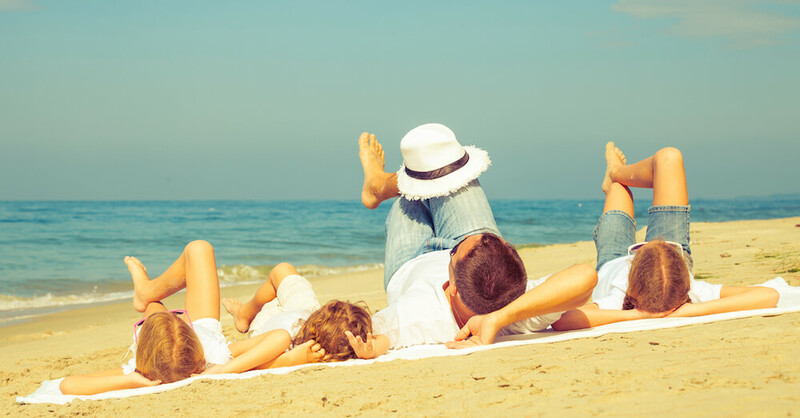 A day at the beach is a staple of any warm weather activity, and there’s nothing better than spending the afternoon enjoying the sand and sea with family and friends. Not to mention, the beach is the perfect place to go combing for precious metals! Whatever floats your boat, here are five beaches in Toronto where you can really start to enjoy the warm weather! The beaches at Centre Island, Ward’s Island and Hanlan’s Point are just a handful of locations on the Toronto Island cluster, and since they are all popular tourist destinations, they are known as some of the “go-to” beaches during the warmer months. The beach at Centre Island is arguably one of the busiest, but it’s known for its convenient location as well as a breathtaking view of the city skyline. Ward’s Island tends to be more popular with active beachgoers, and is often filled with beach volleyball players and paddle boarders. For the more adventurous types, Hanlan’s Point is the only clothing optional beach in the city and is unsurprisingly very crowded during the summer. The Woodbine, Balmy and Kew beaches together form a historic neighborhood in Toronto and are near some of the city’s oldest landmarks. 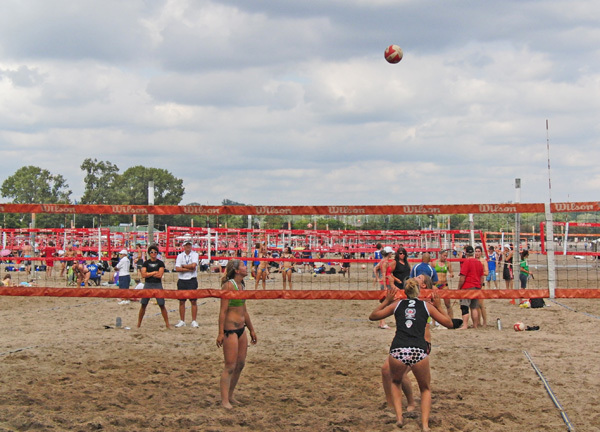 The beach at Woodbine, the largest of the three beaches, offers a three kilometer stretch of hot sand and sparkling waters, and is home to a few dozen volleyball courts, a skate park and even an Olympic-sized swimming pool. Naturally, the beach is often brimming with sporty people who can be spotted playing beach volleyball, kiteboarding or kayaking. 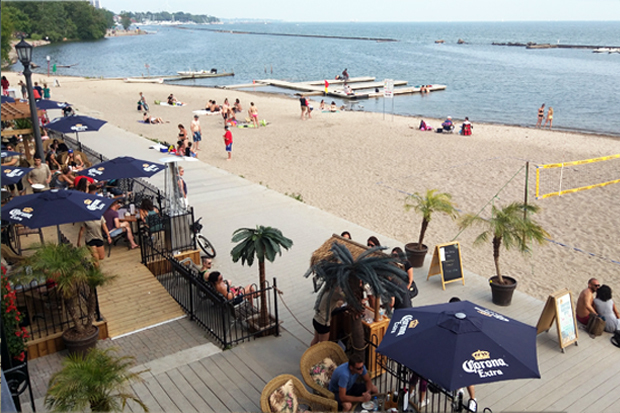 Despite all the activity, the other beaches are host to many bars and pubs with patios where you can simply sit back, relax and enjoy a drink along with the surrounding scenery. Sunnyside is another beach that has a rich history in Toronto and is also a popular destination for those who enjoy an active lifestyle. Although the sands are a little rockier compared to most others in the city, and the waters not as clean, this doesn’t stop people from going there to enjoy all sorts of paddle sports. The beaches at Sunnyside are home to several rowing clubs and its waters are often frequented by boat crews, paddle boarders and dragon boat teams. Besides that, there are also a few spaces for beach volleyball players and several beachside bars where people can sit and soak up the sun. 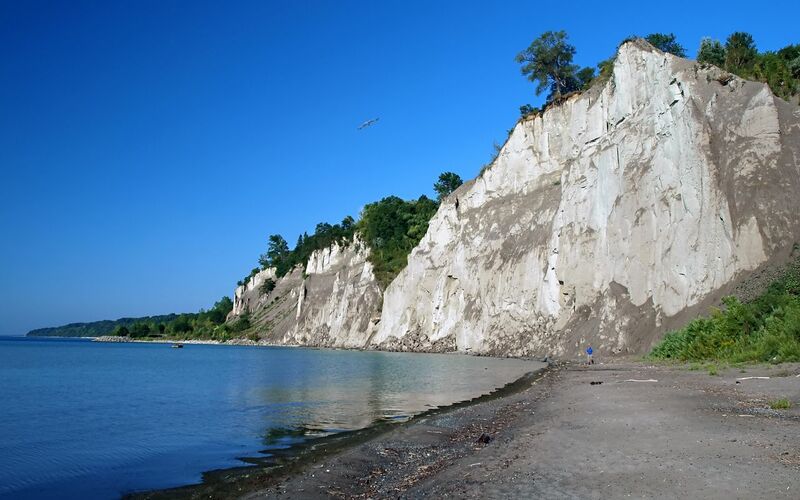 Possibly one of the most scenic beaches in the city, the beach at Bluffer’s Park is bordered by the famous Scarborough Bluffs, where from up top you can get a spectacular view of the beach’s yellow sands and shimmering blue waters. While the area offers all the common activities you’d find at a typical beach, Bluffer’s Park distinguishes itself by having surrounding hiking trails with amazing views, and a large marina that is bustling with active boaters. To top it off, it’s also an amazing place to catch Canada Day fireworks in the summer! 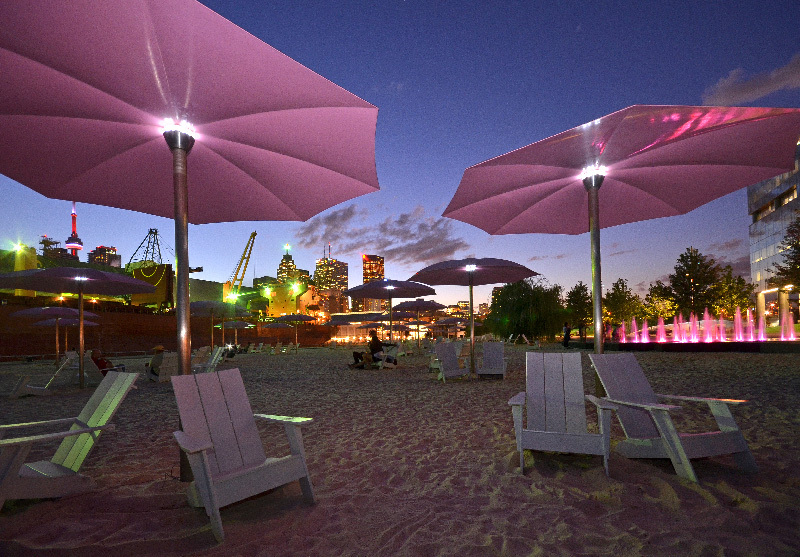 Named after the Redpath Sugar Refinery where it sits across from, Sugar Beach isn’t exactly a natural beach, since it was built in 2010 from a flat of land in the Waterfront neighborhood of downtown Toronto. The beach itself is a large, enclosed bay of sand filled right alongside the shoreline of Lake Ontario, and while you won’t be able to get easy access to the waters, the hot sands and lounge chairs will give you all that you need for a relaxing day under the sun. Small, simple and accessible by transit, the beach offers the average urbanite a quick and easy getaway from the hustle and bustle of the city.